VF Corp (NYSE: VFC) stock rose 12.39% on January 18th, 2019 (Source: Google finance) after the company raised its full-year revenue and profit forecast due to the demand for its high-margin, popular Vans sneakers continues to boost sales. However, the government shutdown could delay the spinoff of its struggling denim brands. VFC expects Vans, which saw a 25 percent jump in revenue during the holiday quarter, to grow at a low double-digit rate in fiscal 2020. The company has raised its full-year adjusted earnings forecast to $3.73 per share from a prior estimate of $3.65. VF also increased its full-year revenue forecast by $100 million to $13.8 billion. Analysts on average were expecting full-year earnings of $3.68 per share on revenue of $13.76 billion, according to IBES data from Refinitiv. Net revenue, also grew due to the growth at the company’s North Face and Timberland brands, rose nearly 8 percent to $3.94 billion, beating Wall Street estimates of $3.87 billion. For its fiscal third quarter, the company posted the net income for the Greensboro, North Carolina-based company rang in of $463.5 million, or $1.16 a diluted share, compared to a loss of $90.3 million, or 18 cents a share, a year earlier. Meanwhile, Vans has experienced an increase in demand in the last two years as VF cut inventory and launched new sneakers, including a line decorated with satin brocade, to appeal to fashion-conscious millennials. The brand’s popularity reflects how shoe makers have benefited from “sneaker culture” growing around the globe that has given them the luxury of being able to charge high prices for new and retro styles. On the other hand, the only brands that saw revenue declines belonged to VF Corp’s denim brands, Lee and Wrangler. The company said now expects revenue for jeans, which also includes its Rock & Republic brand, to drop by 3 percent for the year, widening its previous forecast of a 1 to 2 percent decline. In August, the company announced plans to spin them off into a separate public company. But CFO Scott Roe told the analysts on the quarterly conference call that the government shutdown could delay the spinoff of Kontoor Brands, the name for the new company. 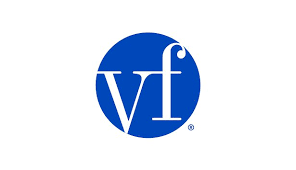 VF Corp was hoping to complete the spinoff in March, and it filed the paperwork with the Securities and Exchange Commission to do so in mid-December.